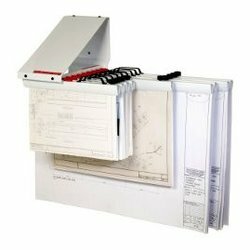 Holds 10 clamps of any size and files up to 1000 sheets, parallel to the wall. Simply screw wall racks onto any wall, cupboard or fixed partition (screws included). Racks can be assembled for right or left access.